Specializing in Histology (tissue anatomy), Pathology, Neuropathology. Dr. Hanna's concept of cellular nutrition is based on her medical studies and her independent research into the effects of foods and herbs on the cells that make up our organs. The Scientific community popularly believed many years ago that a specific enzymatic group of cells that today I am calling "old enzymes" (those active in the aging of cells) decreased over time. In the late 1960s, Dr. Hanna, then a medical student working as a volunteer in the lab, discovered the exact opposite was true. She found "old enzymes" actually increase over time, contributing to accelerated aging. 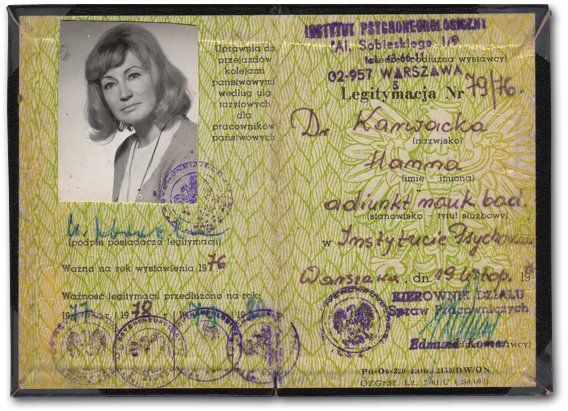 For her discovery Dr. Hanna was awarded a listing in the internationally renowned Karolinska Institute Library (see Cell-orium, "I didn't know I would grow up to be the cooking doctor", pgs 2-4).